Use this time to discover how to get your rest of year into gear! Discover the #1 thing stopping you from feeling more calm and in control of your life! Complete the “Get Relief Now” Session with the excitement of knowing exactly what to do next! 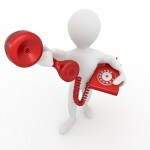 To receive this very valuable phone consultation so you can begin making those changes you desire!